As a self published author, I’m very conscious that getting the word out there about my book is all down to me. I am solely responsible for getting media mentions and press coverage for my own book and unless you have a marketing budget to pay a PR firm, you are too. I would argue that many traditionally published authors are in the same boat as once the initial two week flurry around publication is over, most authors are on their own regarding securing publicity about their books. If you have self published and decided to print your book, your first hurdle is getting enough sales to persuade bookshops to stock your book. I’ve heard that wholesalers like to see a minimum of 250 purchases before they will stock it. I secured 750 sales via my website and three interviews on national radio before Christmas which meant that the wholesaler for independent bookshops here in Ireland was happy to stock it. Now that the books could be ordered from bookshops, I wanted to get more press coverage. People tend to buy books on impulse when they see them in front of them so I needed people to order the books so that the bookshops would order in more and stock them on their shelves. However, even though I tried a few different angles, it was proving difficult to achieve much print coverage – I needed a different angle so I took a break for a while. As I have a couple of events coming up where I will be selling and signing the books, I tackled the press releases again. I’m hoping for local media coverage (radio and print) around both events and I’m delighted to say that I’m being interviewed on national television (TV3 Ireland AM) next Monday morning. 1. Reviews – It can be difficult to get reviews of your self published book in newspapers and literary supplements so arrange a book blog tour and ask bloggers to review your book. Journalists may come across them and the online coverage will help sales too. 2. Send Press Releases – It is important that you know as many journalists as possible that you are emailing or that you have a direct email address if possible. This is much more effective than sending one to the standard email address. How do you get these contacts? In Ireland, there is the a media book available for purchase in which the email address for every journalist are renewed each year. I would also recommend collaborating with other writers and exchanging email addresses of journalists. If you see a writer you know being featured on television or radio, it could be worthwhile to contact them asking how they managed it. 3. 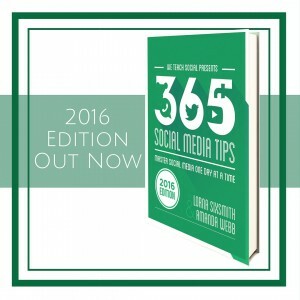 Send Copies – You are going to have to build the cost of extra copies plus the postage into your marketing. However, do not send copies of your book to all and sundry. If you hear a radio presenter discussing a topic that is close to the theme of your book, send them a copy with a letter. The timing has to be right for them and if the book is topical in some way, it stands a much higher chance of being featured. I sent a copy to this television channel before Christmas too but the timing was wrong for them plus I didn’t have a named researcher to send it to then – I sent them a copy yesterday and received the request for the interview today. 4. Follow Journalists – Follow all relevant journalists and book reviewers on twitter, engage with them using relevant content and you never know when they just might pick up on the title of your book. 5. 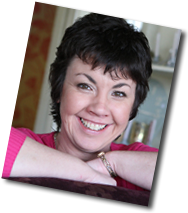 Keep Blogging – I read recently that blogging regularly can be more effective than a television interview – it keeps your book in the mind of your readers and any journalists that may happen upon your blog. 6. Write Articles For Papers – This is one method that I intend to try – writing articles for various publications based on extracts of my novel. I have already written for a Irish Canadian publication and they have invited me to submit two pieces for their next publication. Some of them may pay you for your pieces, some will not. However, by writing for different publications you are continually reaching different audiences and growing your exposure. 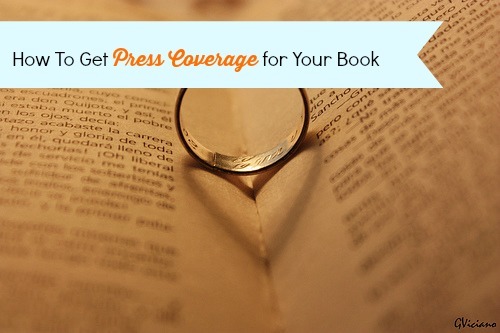 Have you achieved press coverage for your book? I’d love to hear your story of how you achieved it. Thanks Amanda, I had forgotten about our SBP publicity last weekend, mind you, that wasn’t book related. Ditto Amanda, the only thing I could add is that you don’t stop either. Many published authors seem to stop promoting after the initial flurry and launch though we can see from your hard work and effort that it pays to continue to keep promoting. Well done. As a professional book publicist, all I can say is, dead on! It isn’t glamorous, but doing the research and outreach is the only way. Get names, direct email addresses, and numbers whenever possible. Also utilize Goodreads and Facebook to find groups who might be interested in the subject matter, organize giveaways, etc. Thanks Rich, I have to admit I still have to explore Goodreads properly to utilize it fully. I think the book blog tour worked well too, I’m seeing one or two links per day coming in from each of those posts. I have another local radio interview today because of the TV appearance yesterday so it just shows how the publicity can spread – oh, and a profile in a popular online publication too. Lorna, this is such a helpful article. I have already shared it with some newbie authors on Twitter. So many times writers say to me, oh, but I’m not a marketer, I wouldn’t know where to begin. The reality is that to sell your book in a digital age, you have to learn how to market your book and make it stand out from the rest. 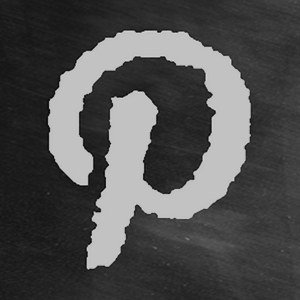 Social media is a wonderful way to do this and your tips will certainly help lead the way. Thank you Marie, I agree, so many writers don’t realise that they have to put themselves out there and social media is a great tool as well as sticking your neck out and getting in contact with those journalists! I was just thinking of adding that point to my next post Dee, it definitely helps (and of course, is polite) if you know the blogger even a little bit. I received a book a while ago (they approached me and I agreed to review it) but I still haven’t read it whereas if I had read his blog posts or even known him on twitter, I’d definitely have done so by now. I’ve sent my books to two book review bloggers (asked them first) but again, because I don’t really know them, they haven’t been reviewed yet and I can understand why. I heard recently that getting reviewed in newspapers is very very difficult without a publisher behind you. Thank you Lorna for some needed info. I’ve self-published my first book “We Really Need To Laugh” this past Dec. ’14 under the pen name of Alec Gould. Yes, I’ve had some buyers on Amazon -happy ones, I’m glad to say. Yet, as we all know, it takes alot more paying readers to pay the bills. I will work on putting your article to work. Thanks Don, delighted to hear you found it useful. Best of luck with your book sales – great title.